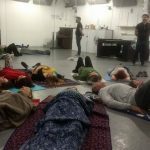 Exciting opportunity to fully immerse yourself in Laughter Yoga Leader training. I will be collaborating with guest teacher Morag who is based in Scotland so a real treat us coming together for this special training retreat way down South in the South West of the UK. 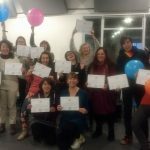 Would you like to learn the skills to spread the wonderful gift of unconditional laughter amongst family and friends, start your own laughter club or use laughter yoga in your workplace? Or maybe you just want to bring more laughter into your own life? If so, this training is for you. This retreat will take place in the beautiful Shekinashram, a holistic yoga centre in Glastonbury. It is a peaceful oasis located within walking distance of both the town centre and the Tor. The retreat will include optional extras which are designed to complement the laughter yoga leader training with a view to enabling participants to relax, let go and fully enter into the training as well as take time out from their busy lives and immerse themselves in nature. And mostly, have lots of fun for two days taking part in 4 complete laughter sessions. A chance to get 6 months Prozone membership at a reduced rate of £10. This allows you to access additional teaching material and to list your new laughter club. Ongoing support after your training. 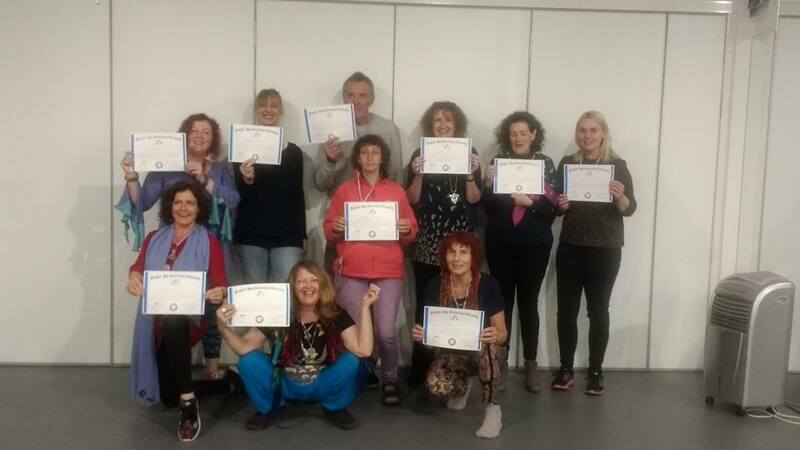 Following a successful assessment at the end of the training, the participants will be certified as Laughter Yoga Leaders and given a certificate which will enable them to obtain insurance to run a not-for-profit Laughter Club. Laughter Yoga was developed in India in 1995 by Dr Madan Kataria and is a unique concept which enables us to laugh for no reason without the need for humour, comedy or jokes. Through the use of laughter exercises, eye contact, childlike playfulness and yogic breathing, we convert pretend laughter into real, hearty belly laughter. In this way our bodies produce lots of endorphins instantly raising our mood and lowering our stress levels. Laughter has many other benefits including stimulating the immune system, making us feel lighter, more energised and happier. • Visit to the Chalice Well and Gardens (admission included) on Friday afternoon. • Friday evening dinner together. • Optional bajan/mantra singing on Friday evening. 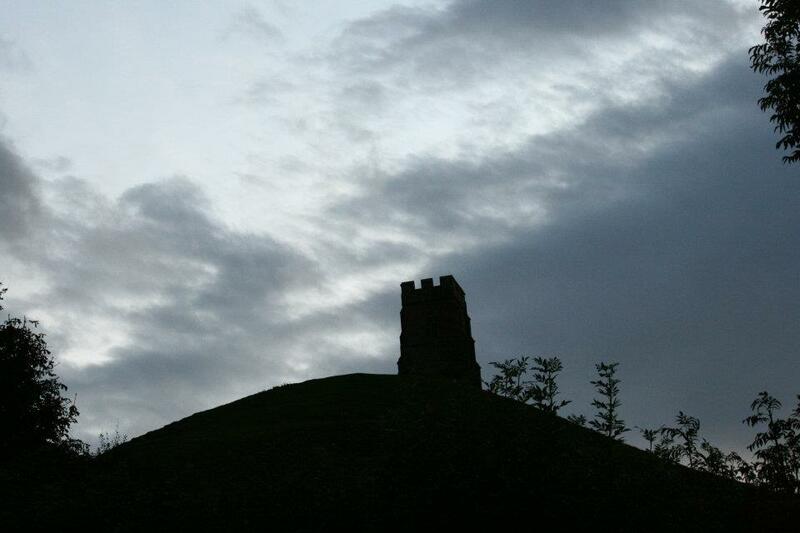 • Walk up Glastonbury Tor on the Saturday – with an intensive weekend. indoors, it’s important to take time out in the fresh air to re-energise. • A chance to join the Ashram’s regular morning meditation – the opportunity to enjoy some silence, to ground and centre yourself before the day’s laughter programme. • Joint sound bath run by Odette and Morag – relax and allow the sounds of gong, singing bowls, drums, wind chimes to entrain your brainwaves into a state of deep relaxation. The retreat format means you can fully immerse yourself into the training without having to worry about travel/meals etc. Cost is fully inclusive: full board basic accommodation, herbal teas and vegan snacks, training course fee and materials as well as extras such as a visit to the Chalice Well and gardens (entrance fee included) and regular ashram activities. Accommodation will be in twin rooms with shared bathroom and toilet facilities. Rooms are allocated at the time of booking. Glastonbury is a beautiful town in Somerset with an eclectic range of shops, cafés, a ruined abbey, Tor, Chalice Well and gardens. In recent years the town has become a place of pilgrimage for visitors of faiths other than Christianity. The reputed healing powers of the White & Red Springs have always attracted visitors and in more recent years there has been a revival of interest in Glastonbury as a centre of alternative beliefs. Its shops reflect this with a host of crystal shops, alternative bookshops, music, clothing and others. Places are limited so early booking is essential to be ensure your place. Includes basic accommodation; full board vegan food; all drinks and snacks; Laughter yoga leader training course + materials and other activities to enhance the training. 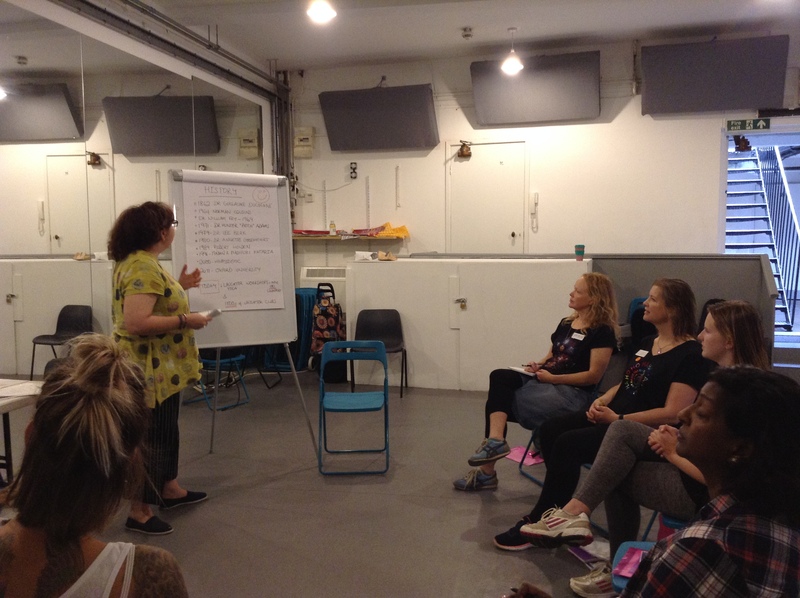 Odette Kurland and Morag Wylie have years of experience between them not only as therapists but as trainers and workshop leaders. 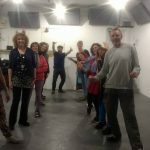 They are here to support you over the intensive weekend journey into laughter yoga. Odette Kurland has a background in various Holistic Therapies including Laughter Yoga, Laughter Facilitation Skills and Sound Healing (Gong Master and Reiki Master). She is known for her caring nature which includes random acts of kindness and offering a warm heart, a pair of socks and a woolly hat and conversation to homeless people. She works full time running her wellbeing and training company, Laughter Yoga Wellness London and UK and London Gong. She has worked with Charities, Community Groups, Banks, NHS, Media Companies, Cancer Patients, Homeless People, Universities and more. 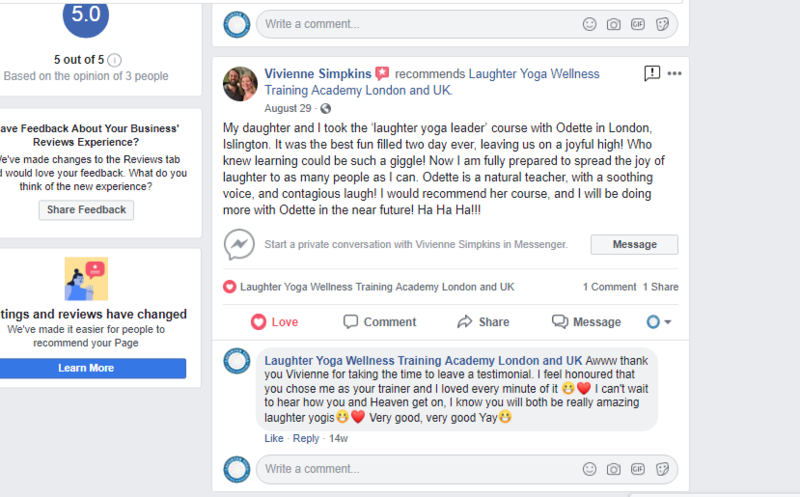 Laughter Yoga has been life enhancing for Odette and now she wishes to spread the joy by training others to connect with more joy and laughter. Morag Wylie is a Certified Laughter Yoga Teacher, Transformational Breath Facilitator and Sound Healer. Over the past 8 years she has worked with hundreds of clients through 1 to 1 sessions, groups and training events. She has been running Falkirk Laughter Club for 2½ years, has taken laughter to many groups in her local community including working with Disabled adults, visually impaired people, those affected by mental health issues, children and older people. She has been running laughter yoga leader trainings since 2016. She loves to empower people to live happier and healthier lives. I couldn’t sleep after the two days training. It gave me so much energy and enthusiasm. but in the morning, I was still bright as a Laughing Yoga Leader! What an amazing course!! Big thank you to Odette and Nico 😄! !